A Fiery Afternoon at Uluwatu | What an Amazing World! A Hindu priest in white robe sits in the middle of a field, praying in front of a black thing (which looks like the Hindu version of menorah) which is then lit by a torch. His eyes are wide-shut but his mouth is not resting and keep mumbling words in a praying-like rhythm. Flowers and holy water are the only accompaniment he has in the lonesome field. Then suddenly voices of men saying “chak-chak-chak” in a harmonic way breaks the silence. It does not take too long for them to finally gather in the field, circling the black thing, and sits neatly while still chanting the words. 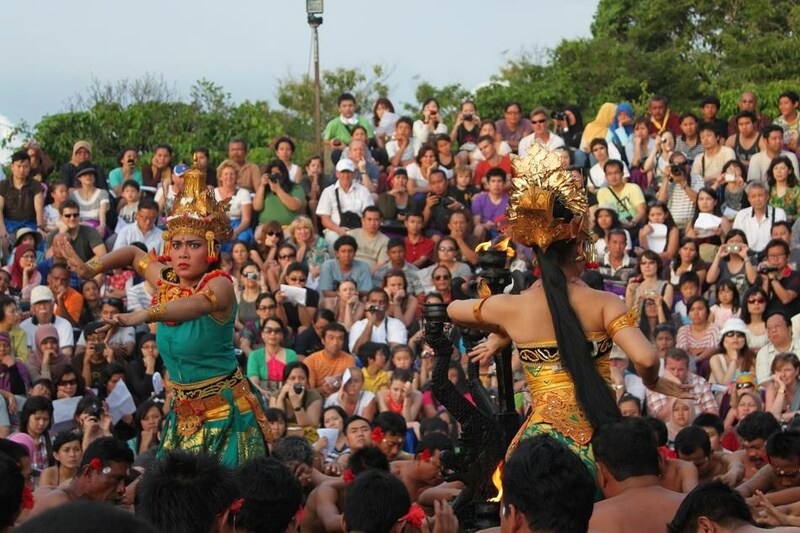 That day I went to Uluwatu, the southernmost region of Bali, to watch Kecak dance, one of Balinese most famous dances. 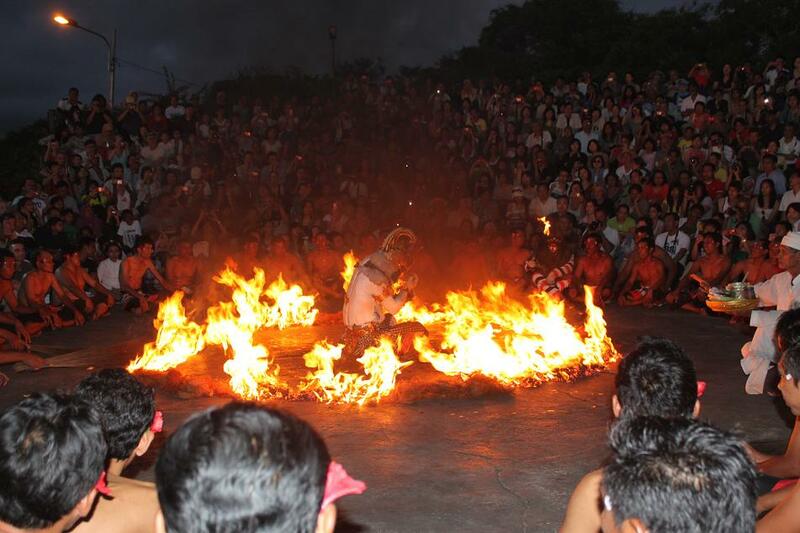 Actually there are a lot of other places in Bali where Kecak dance is performed. But here at Uluwatu not only can you watch the dance, but you can also witness the beauty of Uluwatu cliffs while waiting for the sun to set on the Indian Ocean. After the opening act, a couple of dancers performing as Rama and Sita (also known as Sinta) make their way into the center of the circling men. Rama is portrayed as a tough man with intimidating eye-look, while Sita is a graceful princess with gentle gesture. The story of Ramayana is ubiquitous in the Hindu world (you can find it in Java, Bali, and some other regions in Asia), therefore it often becomes the main story or theme for many folklores, ancient buildings and traditional arts. The show gets more interesting when more and more characters show up, such as Ravana/Rahwana (the king of Lanka/Alengka), Jatayu (the bird warrior), Hanuman/Hanoman (the white monkey warrior) and many more. 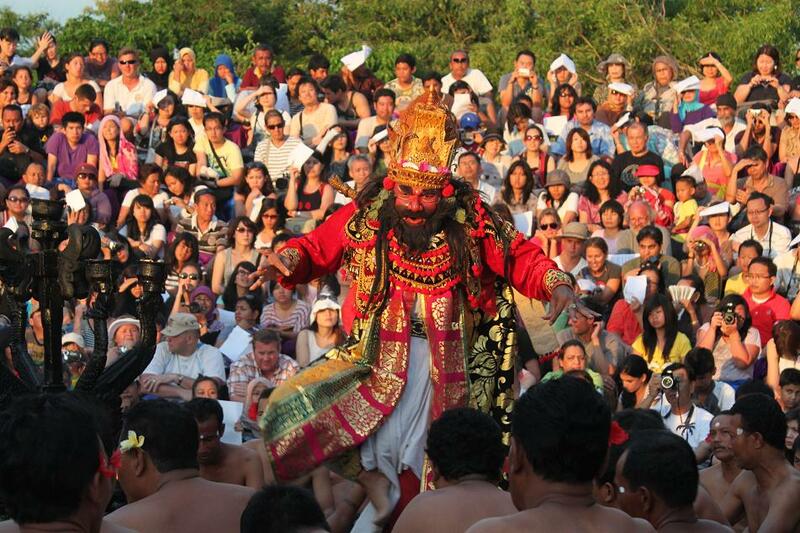 If you are familiar with the story of Ramayana then you can understand well the whole sequence of the performance. However, a sheet of the show’s summary is handed out to every visitor prior to the beginning of the show. The climax of the entire performance occurs right after the sunset. The priest returns to the field only to go back behind the stage after sprinkling holy water to the Hanuman player and the Kecak performers. Then a man carries a torch and lights up dried and shredded coconut barks to make a circle of fire while the Hanuman player sits solemnly in the middle of it. After a few seconds suddenly he goes wild and kicking the fiery barks away from him to every direction. 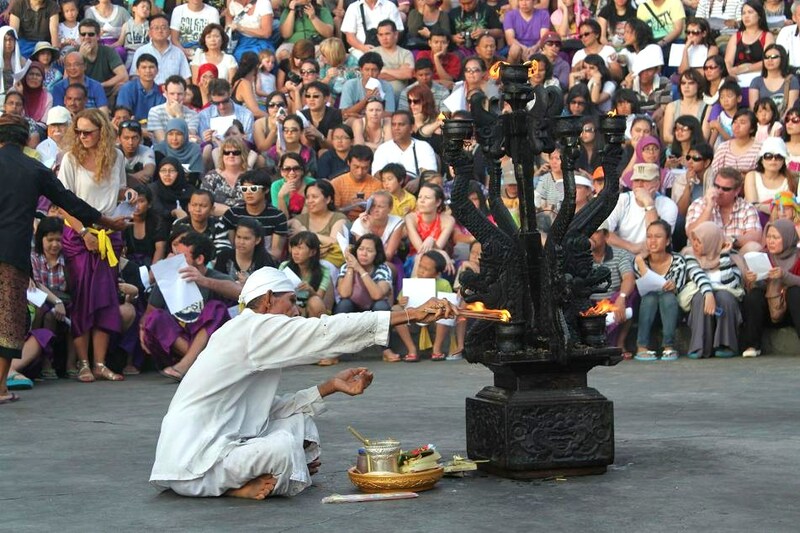 But no need to worry because all the Kecak performers protect the audience from the fire. Right after the fire is gone, all dancers and performers gather in the field and bow to the audience to mark the conclusion of the show. Apart from its cultural meanings, the show also includes an entertainment chapter where the dancers interact with the audience, often in funny and ridiculous way. Regardless to this fact, no matter how you see it the show obviously still retains its cultural values which most Balinese hold strongly and practice them in their daily life. Pingback: Bali: Revisited « What an Amazing World! You sure just tempted me! 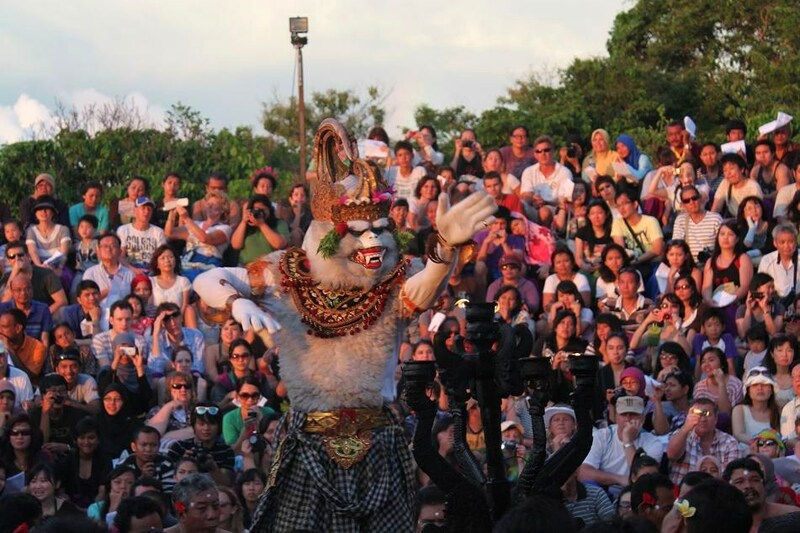 I’m staying in Bali until New Year, and now I just wrote down Kecak Dance at Uluwatu in my to-do-list. Do you know that there’s an event called Ubud Young Artists Exhibition at Ulun Ubud Resort & Spa which is held up to January 5? 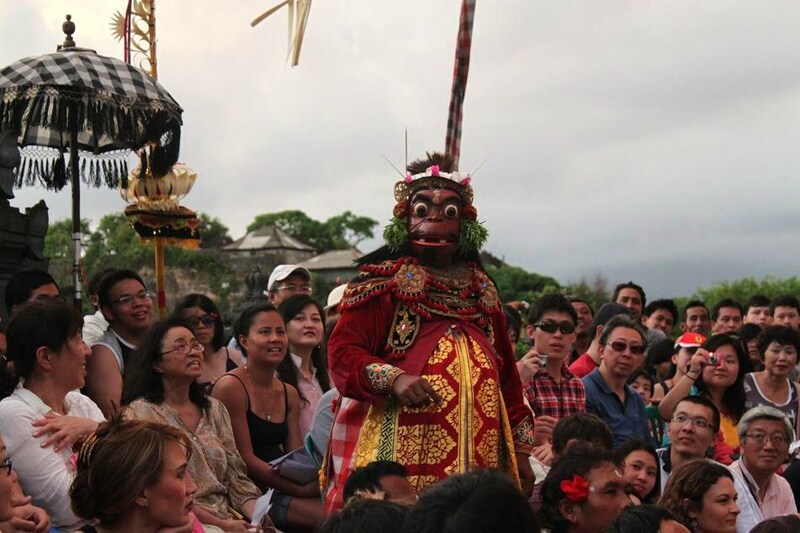 Talking about culture, sure Ubud’s paintings sound related! I don’t think I’ve ever heard of that event before. But anything sounds (or smells culture) is very appealing for me right now! 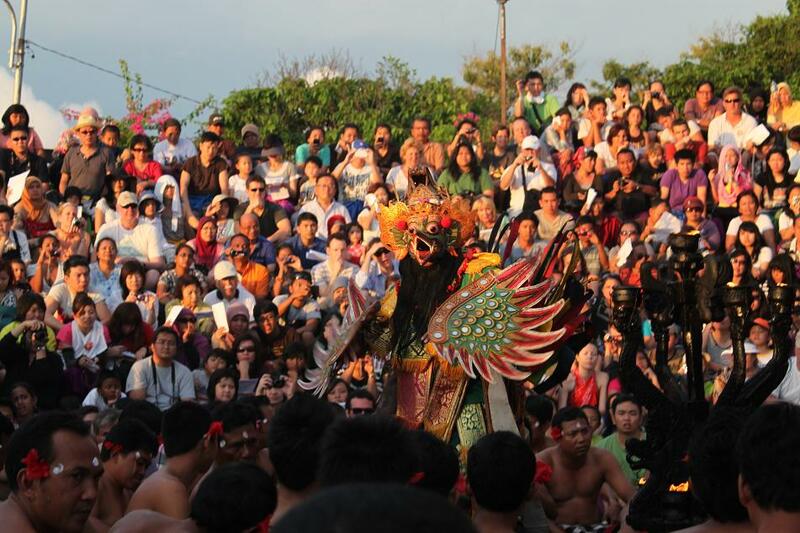 Probably next time I go to Bali I can catch one that kind of events. Pingback: An Epic Love Story, Retold | What an Amazing World!